John Roskelley – international mountaineer, author and environmentalist – wants to return to the job he held for nearly a decade as Spokane County Commissioner. Roskelley, a Democrat, held the District 1 seat from 1995 to 2004. He is up against a formidable foe in two-term incumbent Commissioner Todd Mielke, a Republican. Their face-off in the Nov. 6 general election will end months of competition, including a lawsuit by Mielke challenging Roskelley’s residency in their north Spokane district. Roskelley, 63, won the fight before a judge last spring even as he was preparing to build his new home within the district on Peone Prairie. He explained that he bought the lot in 2005 and at one point tried to sell the parcel to the county’s Conservation Futures program because it borders a significant wildlife area on Peone Creek. For 27 years Roskelley had lived on East Foothills Road, but temporarily moved into his son’s house just outside the district at candidate filing time. That’s when Mielke filed the challenge, catching Roskelley by surprise. The fight cost him in excess of $12,000 in legal fees, Roskelley said. He noted that Mielke sued Spokane County and the county auditor, which cost taxpayers at least $8,000 to defend. Roskelley said he paid his bills from money he’d saved for house construction. Mielke received a $25,000 contribution from the state Republican Party that Mielke said was intended to help pay his legal bills in the residency challenge. Roskelley points to his fiscal conservatism and his independence as reasons voters should favor him. Roskelley contends that Mielke in his eight years in office has supported property tax increases amounting to 13.5 percent, plus ballot measures that raised sales taxes by 0.5 percent. Mielke countered that the commissioners have not taken a state-authorized 1 percent increase in property taxes since 2010 and are maintaining a strong financial balance sheet. Among the voter-approved taxes was a 0.1 increase in the county sales tax for criminal justice and a federally mandated upgrade of emergency communications. Roskelley said the communications upgrade could have been done for less money. Roskelley opposes an additional 0.2 percent sales tax increase for criminal justice as proposed by Republican Sheriff Ozzie Knezovich earlier this year. It would require voter approval and is not on the ballot this fall. On other issues, Roskelley said Mielke pushed for legislation to limit citizen participation in growth hearings unless the citizens were directly affected by the proposed development. The bill would also have charged a $400 fee for appeals. It died in the Legislature earlier this year. Roskelley criticized a decision by Mielke and the commission to spend $600,000 on a piece of Geiger rail spur property that was owned by a Mielke campaign contributor. The sales price was inflated, Roskelley said, so commissioners should have gone to condemnation instead. He also objected to Mielke’s vote against a resolution before the regional health board to hold a meeting on the risks of coal shipments through Spokane to Asia. On other environmental issues, Roskelley voiced opposition recently to wolf kills by state agents in northern Stevens County and a commissioner decision to allow docks at a development on the Spokane River east of Argonne Road. Roskelley, a former member of the Growth Management Hearings Board for Eastern Washington, said he opposes expanding the urban growth area and is against extending sewer lines in Mead along U.S. Highway 2, which Mielke supports. “There is plenty of developable land,” he said. 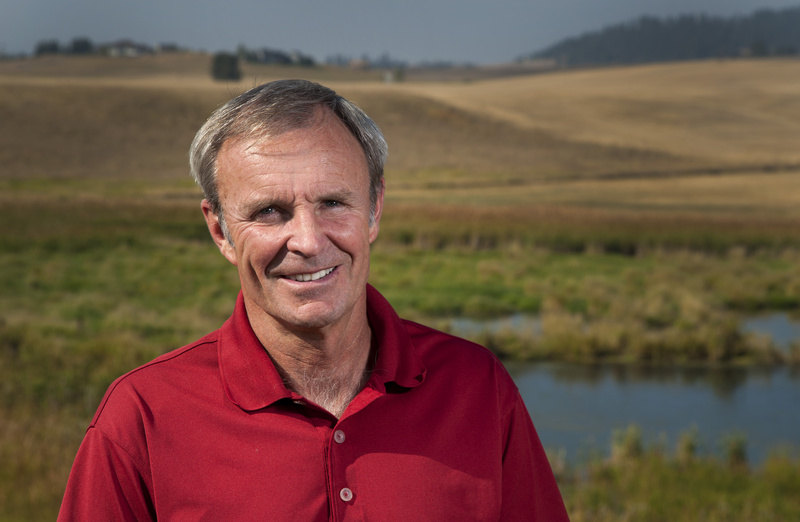 Since leaving the growth board in 2010, Roskelley has been working on his own projects, including a fifth book on paddling the Columbia River from its source to the Pacific Ocean, a distance of 1,245 miles. During the height of his Himalayan climbing career, Roskelley was known for pioneering new routes on peaks with heights of 6,000 to 7,000 meters. He attempted Mount Everest four times without the aid of oxygen, but was turned back. The fifth time he made it to the summit with oxygen. A Shadle Park High School and Washington State University graduate, Roskelley has been married to his wife, Joyce, for 40 years and has three children.